Tilapia is a fairly mild white fish that’s great if you want a low fat, filling protein- especially if you’re not into chicken. It’s the perfect chicken substitute! I always choose fish over chicken because the idea of undercooked chicken makes me super uncomfortable. 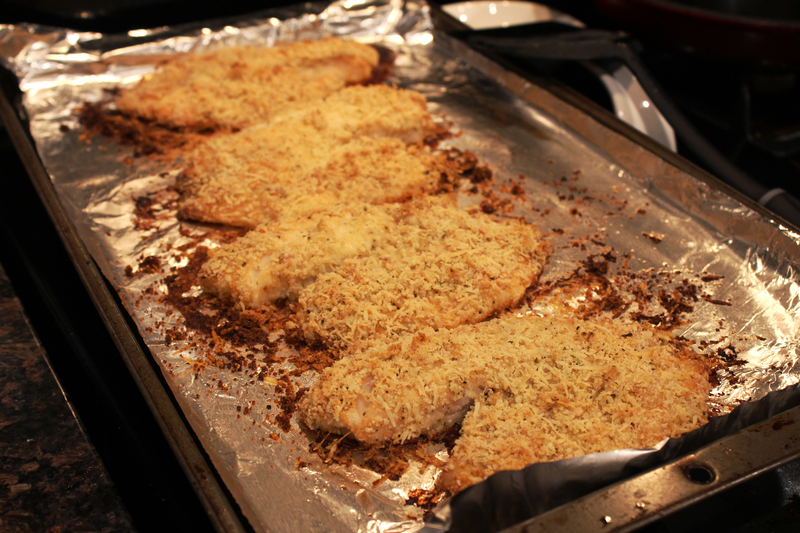 I wanted something simple for dinner, and this almond and parmesan crusted tilapia was perfect- just a handful of ingredients already in my pantry, and ready to eat in about 30 minutes. The original recipe called for bread crumbs, but I didn’t have any and didn’t feel like running to the store, plus I needed to use my leftover almond meal. I think it turned out better this way anyway! Whisk olive oil, lemon juice, salt, and black pepper in a large bowl. It should look cloudy as it emulsifies. Throw fish into the bowl, making sure all sides get coated in the oil mixture. Let it sit for about 15-20 minutes. 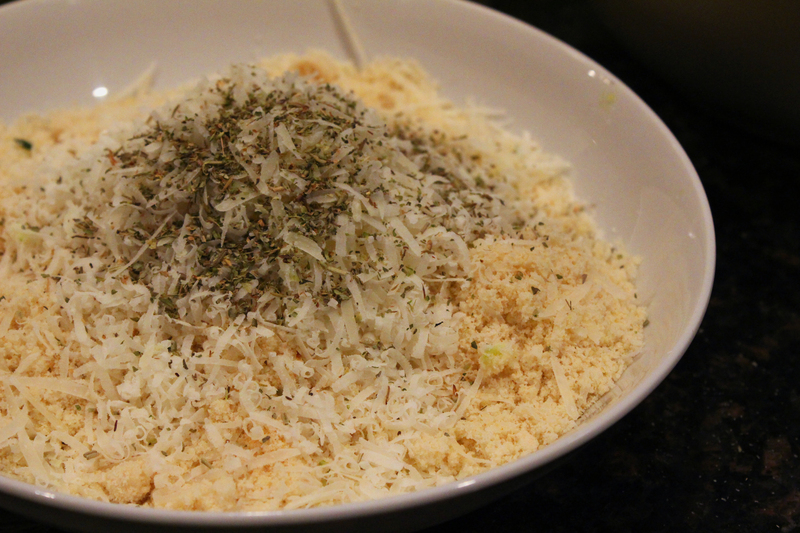 Mix together almond meal, parmesan cheese, Italian Seasoning, and garlic powder in a bowl. Pour mixture to a plate large enough for breading the fish. Cover a large baking tray in foil and spray with cooking oil. 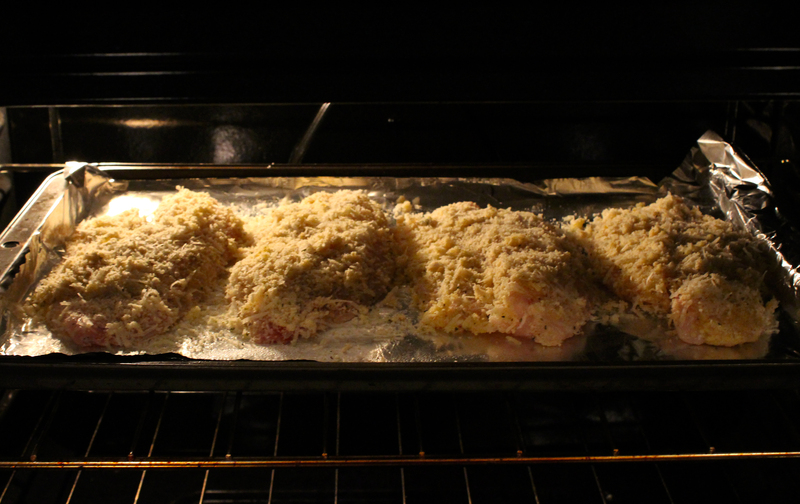 One fillet at a time, gently press one side into the parmesan and almond meal mixture, then flip the fillet over and press again to coat both sides. 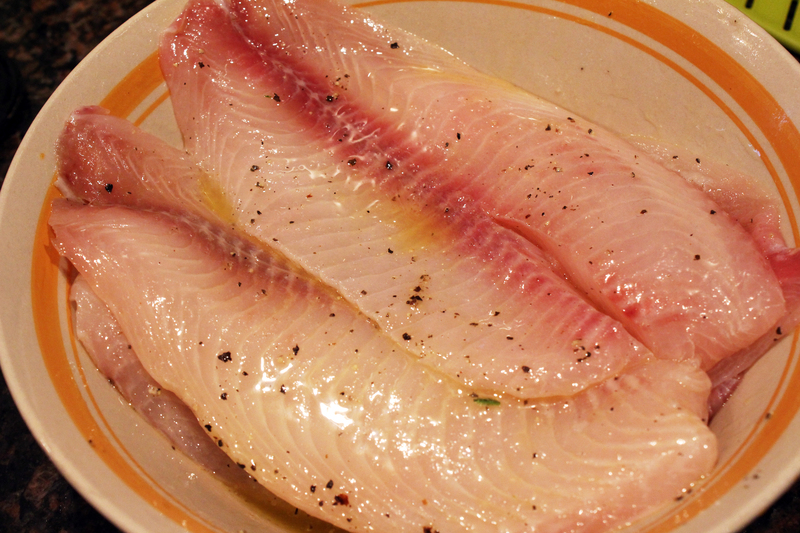 Arrange the fillets evenly on the tray. Pop fish into the oven. Bake for about 25 minutes, until golden brown. My fillets were huge for some reason so smaller fillets should take a little less time. Sorry, too hungry for glamour shots! Yum, the coating sounds great!